The installation is carried out on the special bench. The steelwork of the inner containment’s lower tier are being currently assembled. The liner has 18 segments. The weight of the structure assembly is 356 tons, the foundation diameter is 44 meters. The liner is being installed with supporting frames, corrosion protection coating being applied simultaneously. This part of the inner containment will be afterwards installed to the design location. 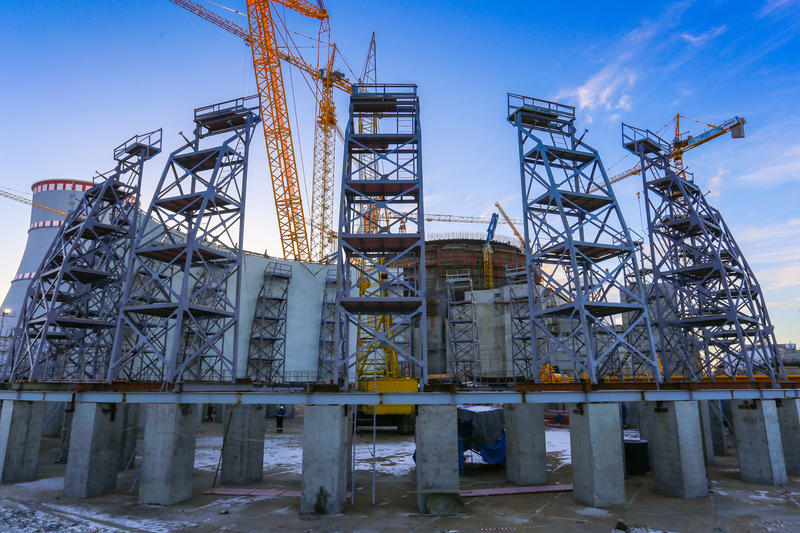 The height of the reactor building will then reach +66.60 meters.